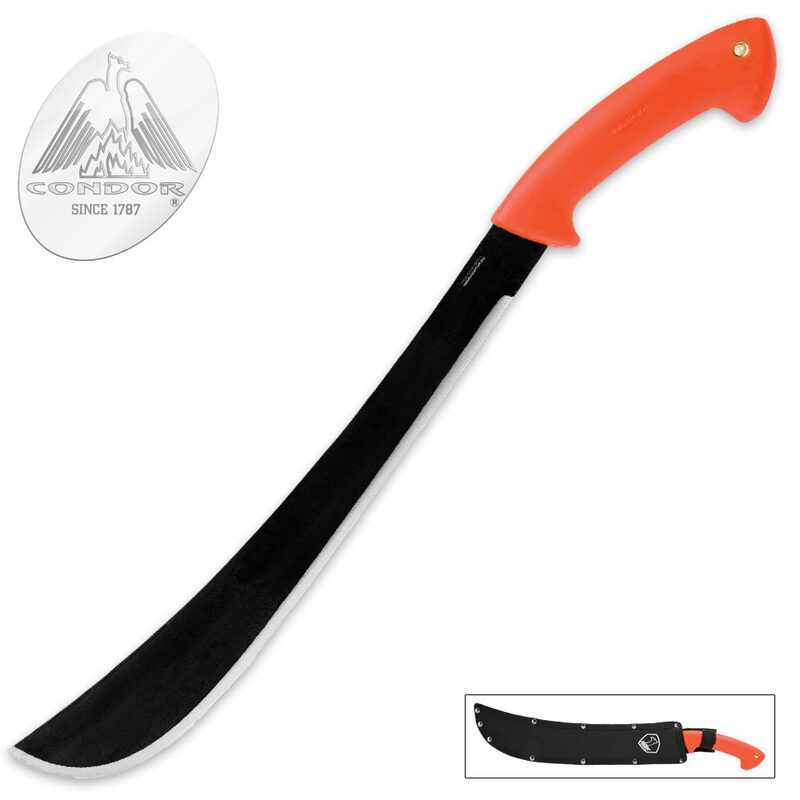 Condor Eco-Survival Golok Machete With High Impact Orange Handle | BUDK.com - Knives & Swords At The Lowest Prices! The Condor Eco-Survival Golok Machete was inspired by the machetes of Malay that are used as an agricultural tool and a weapon. 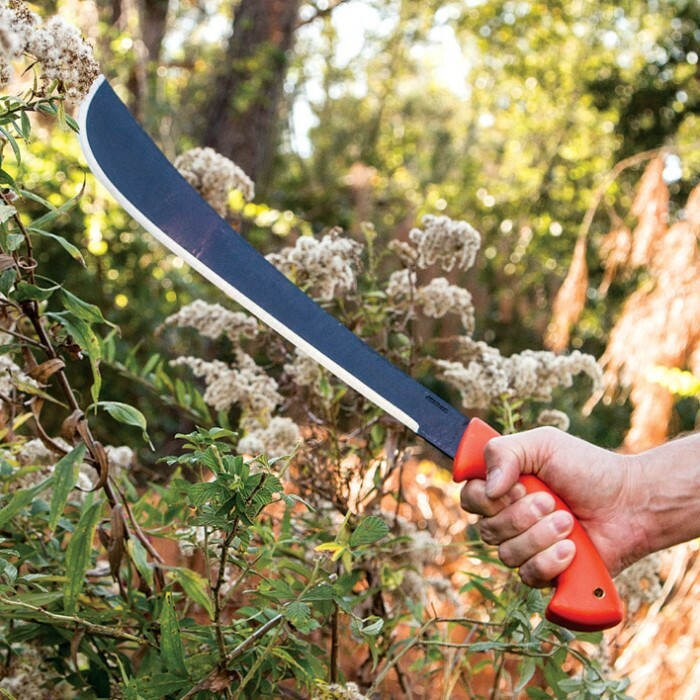 You can reap the dual benefits of this highly useful machete, too! 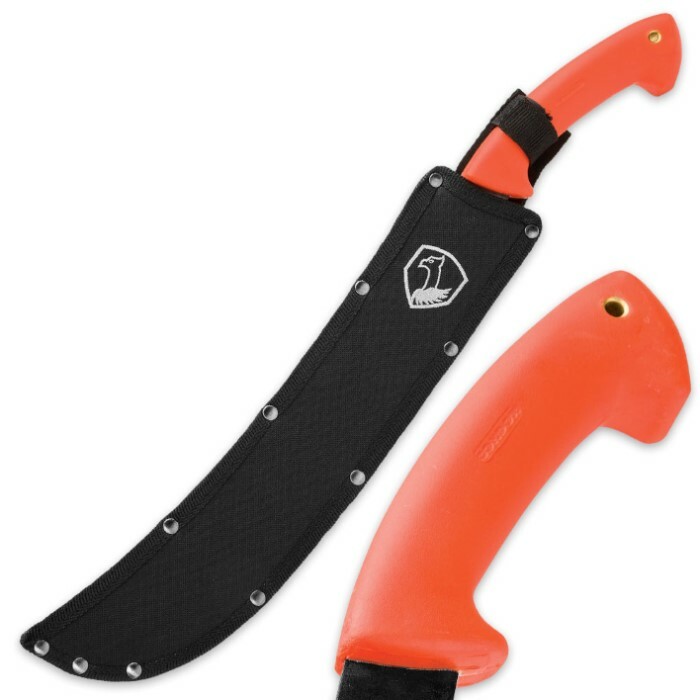 It features a 14 1/2” 1075 high carbon steel blade that will hack its way through whatever you throw at it. The high impact polypropylene handle is tough and durable and gives you a secure and slip-free grip. A ballistic nylon sheath is included for easy carry. It is an impressive 20 3/4” in overall length.